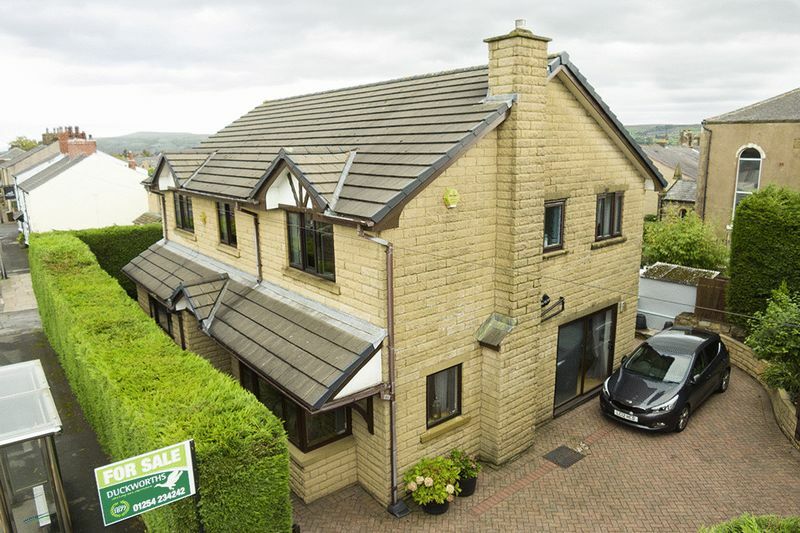 Individual in every sense of the word, virtually invisible from the road side is this private built detached house that must simply be viewed to be fully appreciated. 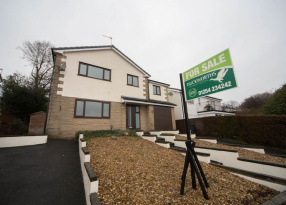 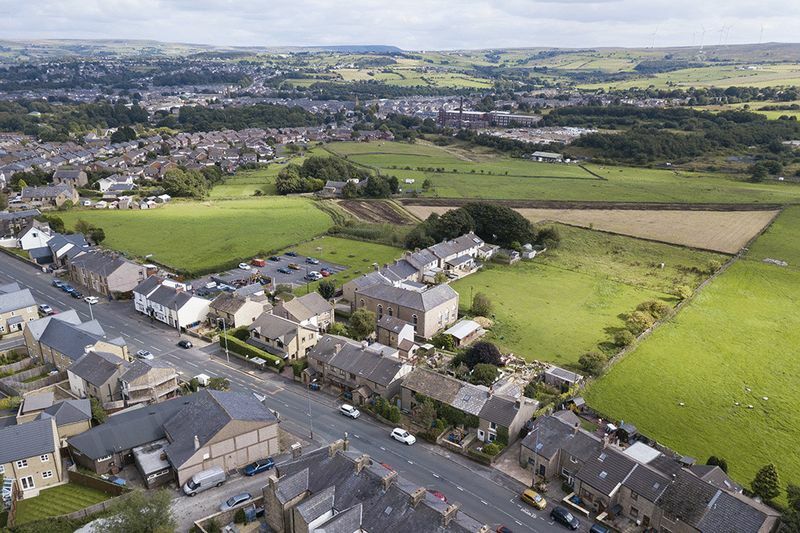 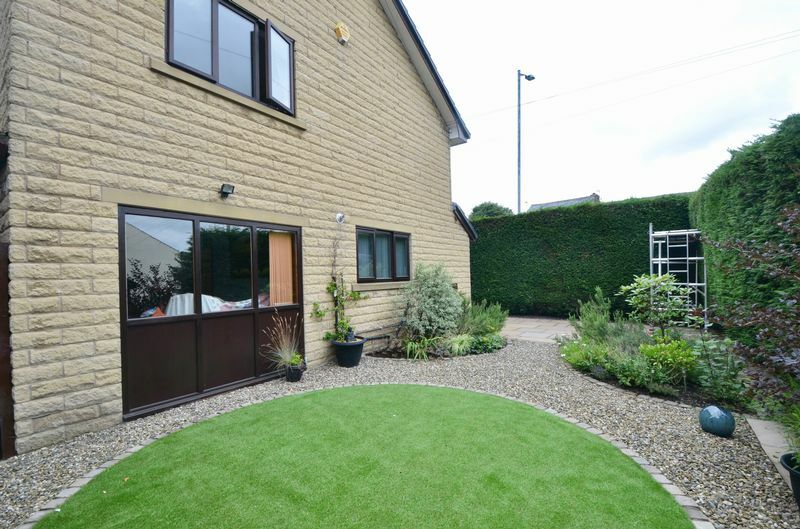 Enjoying a corner plot position at the corner of Nab Lane in the heart of Stanhill Village with excellent access to local amenities and major north west cities via M65 is this easily managed family home with excellent landscaped gardens with private gated off road parking for 3 vehicles. 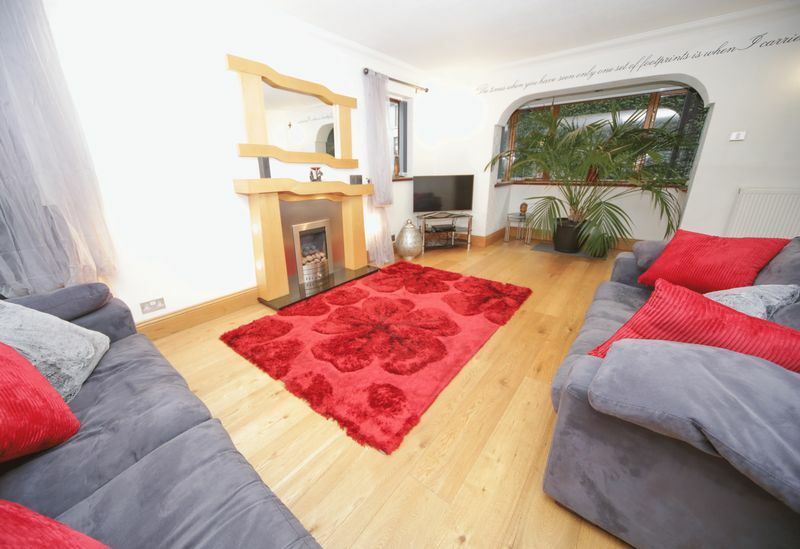 This excellent family home offer a superb well-appointed living accommodation which comprises of entrance vestibule, reception hallway with a galleried landing, full length lounge/dining room with walk-in bay window and patio doors, fitted breakfast dining kitchen, games/utility room with access to a two-piece cloakroom, four first floor bedrooms and a en-suite four-piece bathroom. 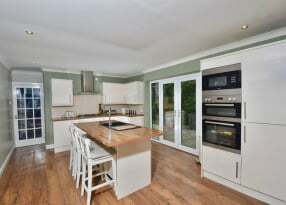 Benefitting from gas fired central heating and hardwood double glazing. 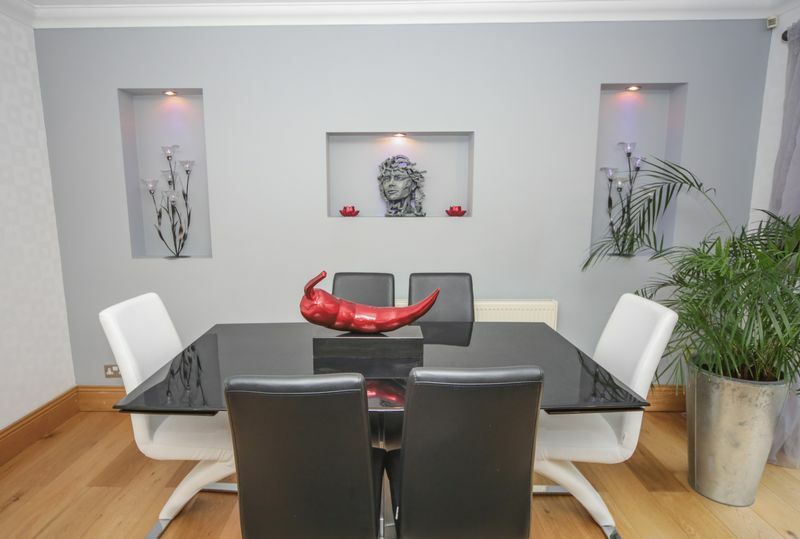 This amazing home is enhanced by abundance of character features. 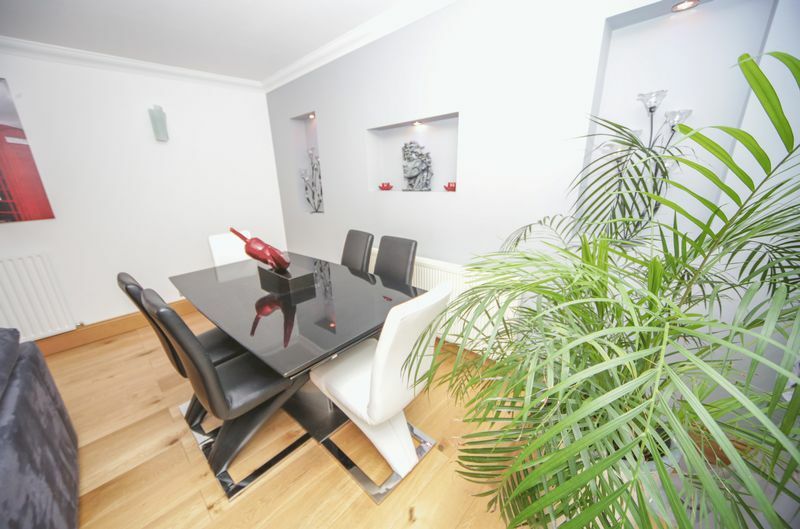 The garden areas have been designed for easy maintenance and the property has been excellently maintained throughout. 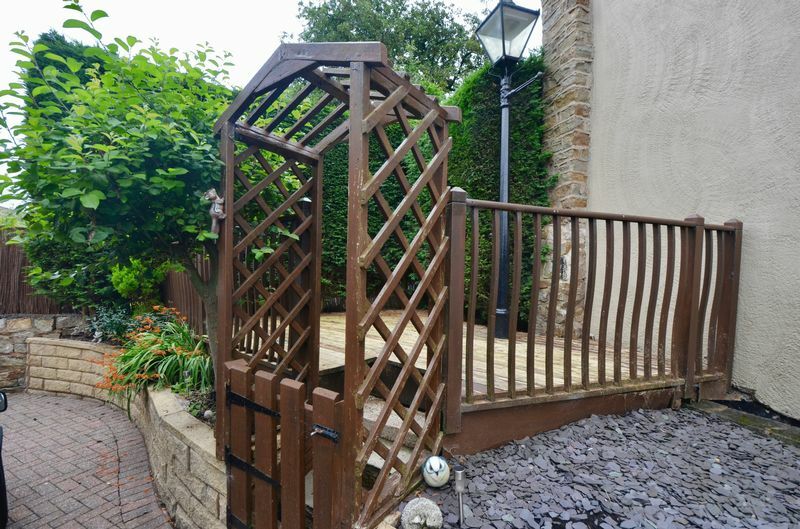 Upon entrance to the property is a Elizabethan style entrance door within a stoned porch. 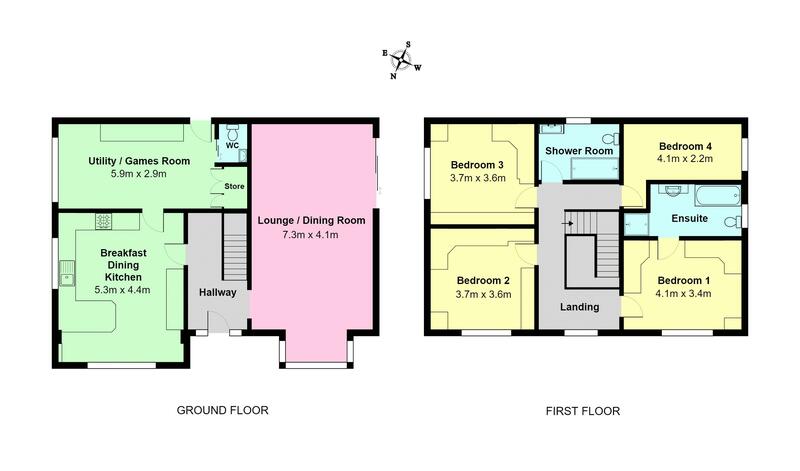 Double glazed leaded window, open plan dog leg stairway to first floor landing, balustrade landing area, feature flooring, central heated radiator, access to understairs storage area, semi open plan lounge/dining room. 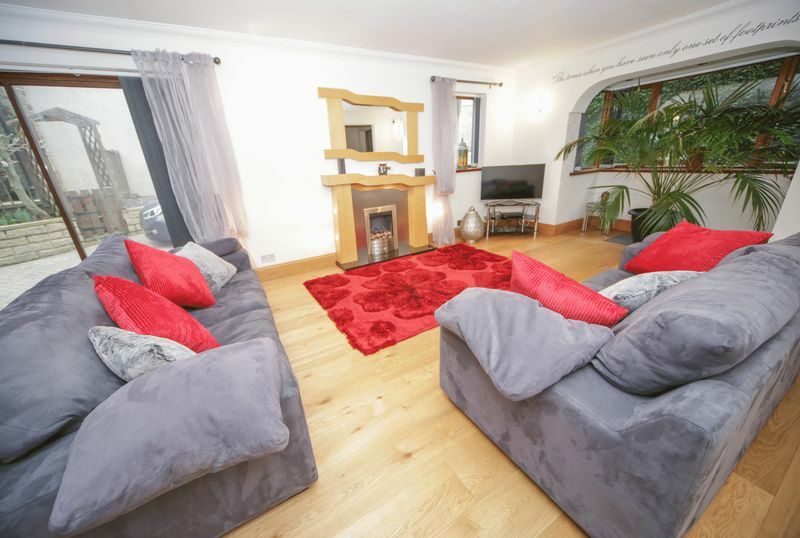 Double glazed walk-in box bay window, centre piece fire place with marble design hearth, living flame gas fire, three central heated radiators, double glazed patio doors giving access to the side driveway and rear garden areas, feature flooring, coordinated decoration, coving wall light facilities, casement window to side elevations. 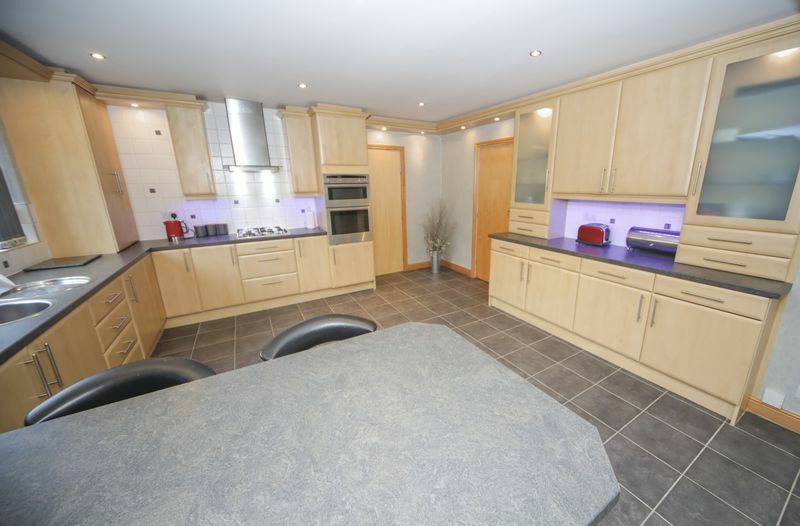 Fitted range of wall and base units with a return breakfast bar, twin bowl sinks, double oven, hob and filter hood, tiled splash backs, double glazed window to side and front elevations, boiler storage cupboard, central heated radiator, coordinated decorations, spotlights to ceiling, tiled flooring, feature plinth lighting, integrated fridge and dishwasher. 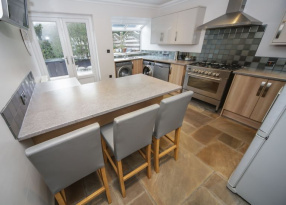 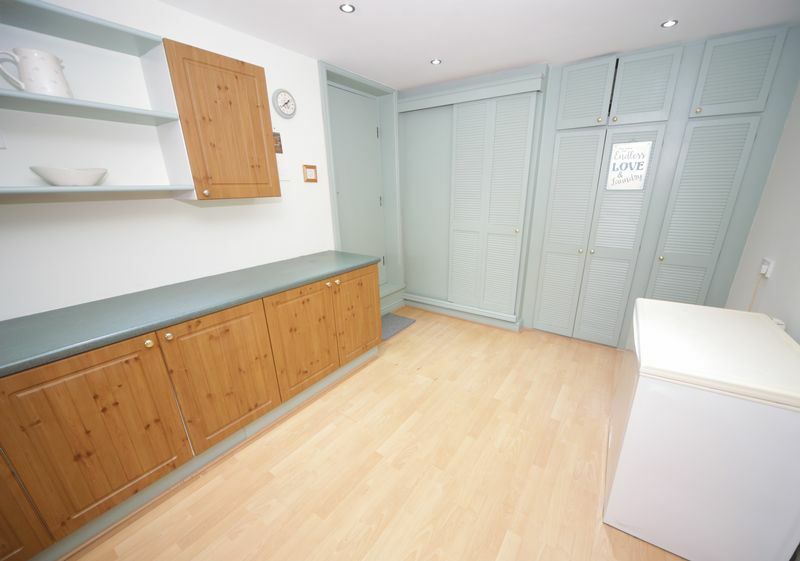 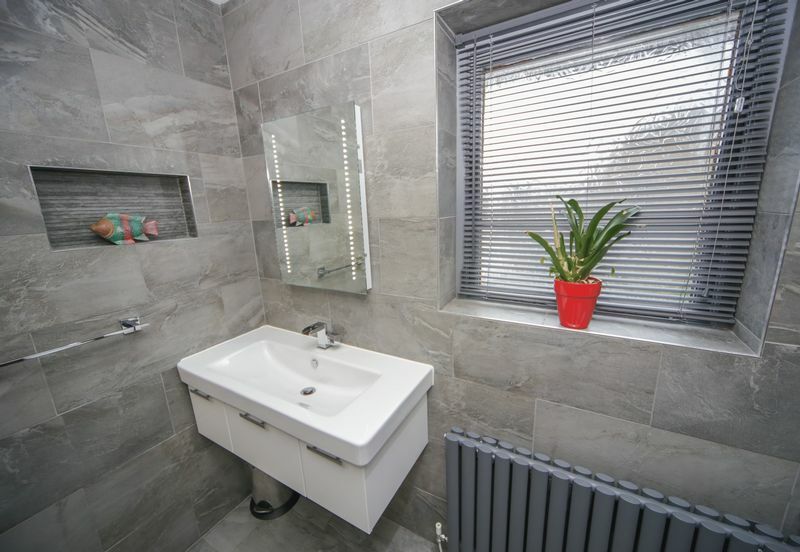 Fitted wall and base units, central heated radiator and utility storage cupboard which is plumbed for washing machine and appliances, rear entrance door, double glazed window and access to 2 piece cloakroom. 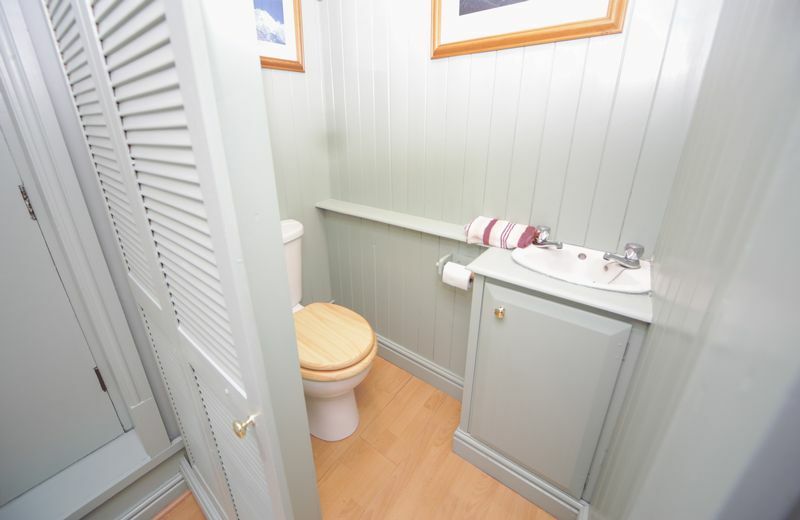 2 piece, low level wc and wash hand basin. 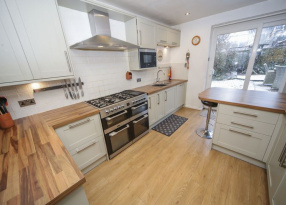 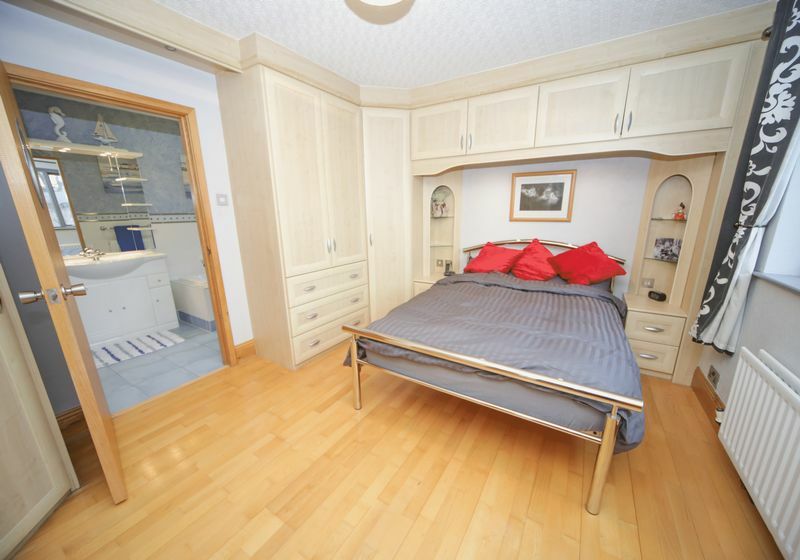 Galleried landing area, central heated radiator, coving to ceiling, double glazed window, access to loft. 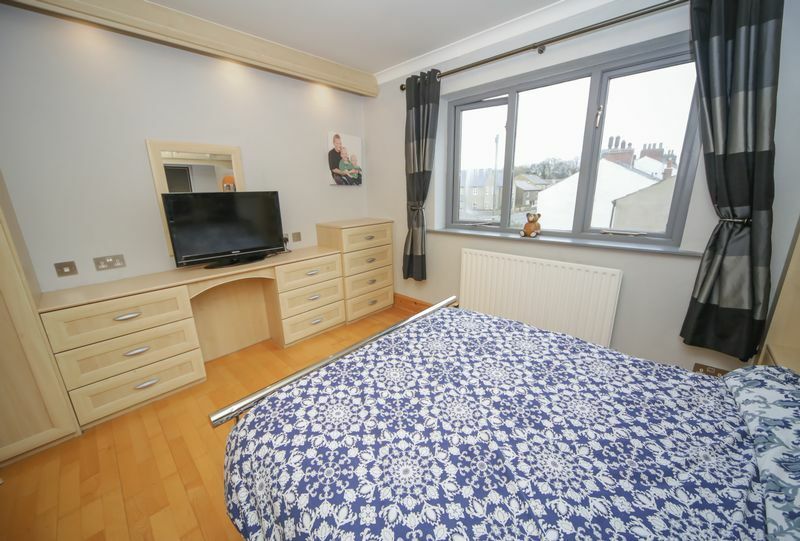 Double glazed window, central heated radiator, fitted wardrobes and furniture, feature lighting and access to en suite bathroom. 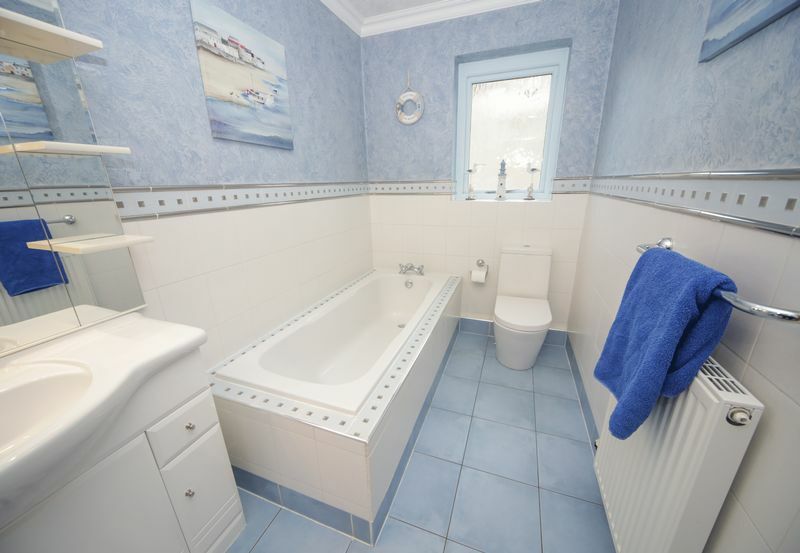 Vanity wash hand basin, low level wc, shower cubicle with electric shower, tiled elevations, feature paneling, vanity mirror, coordinating decoration, coving to ceiling, central heated radiator. 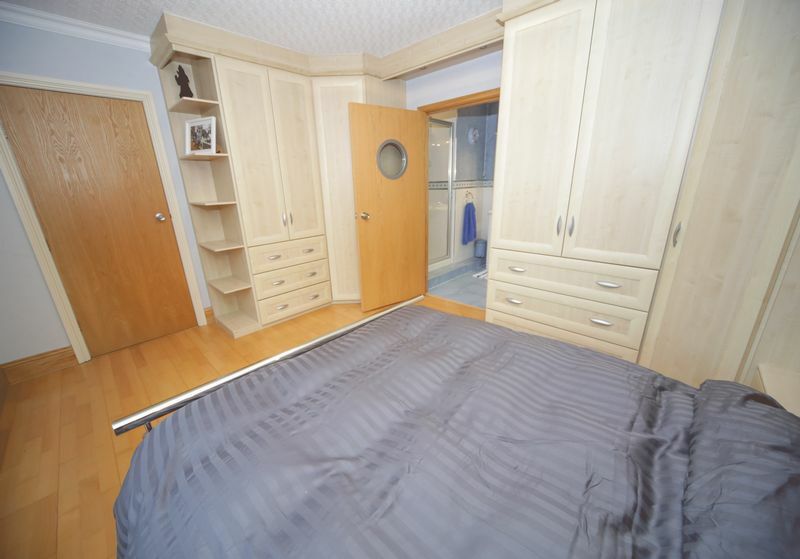 Double glazed window, feature flooring, feature wardrobes, feature lighting, coordinated decoration. 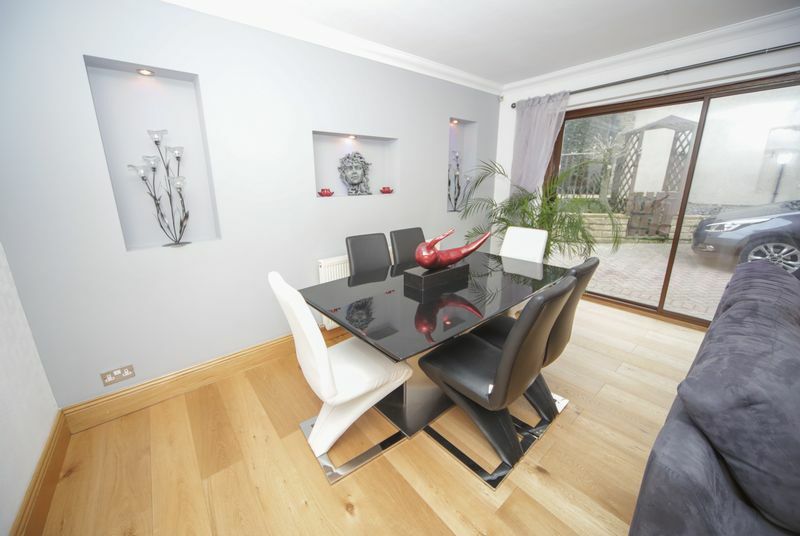 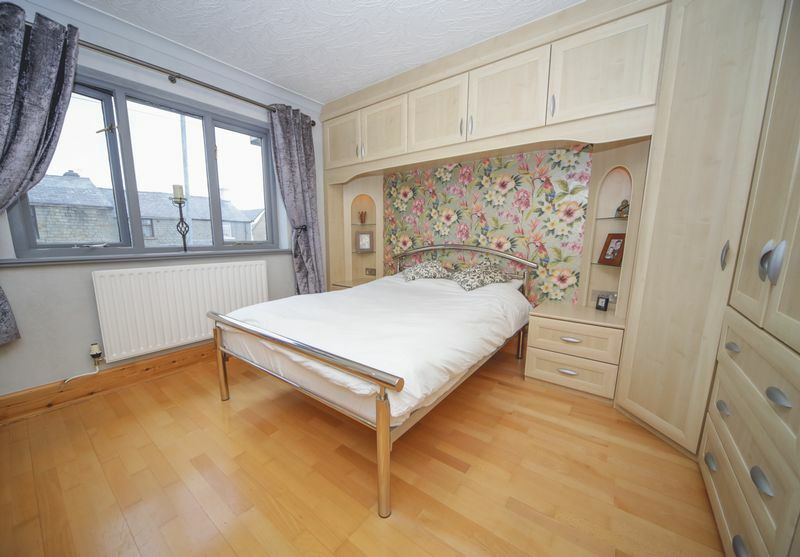 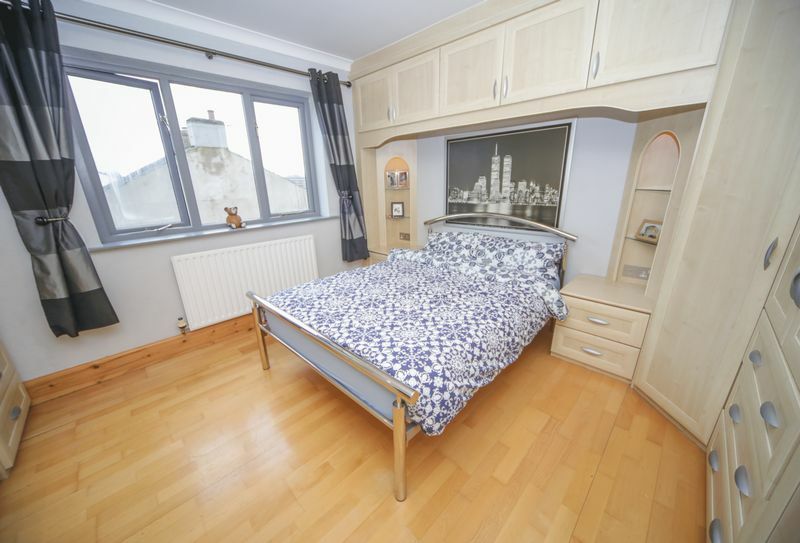 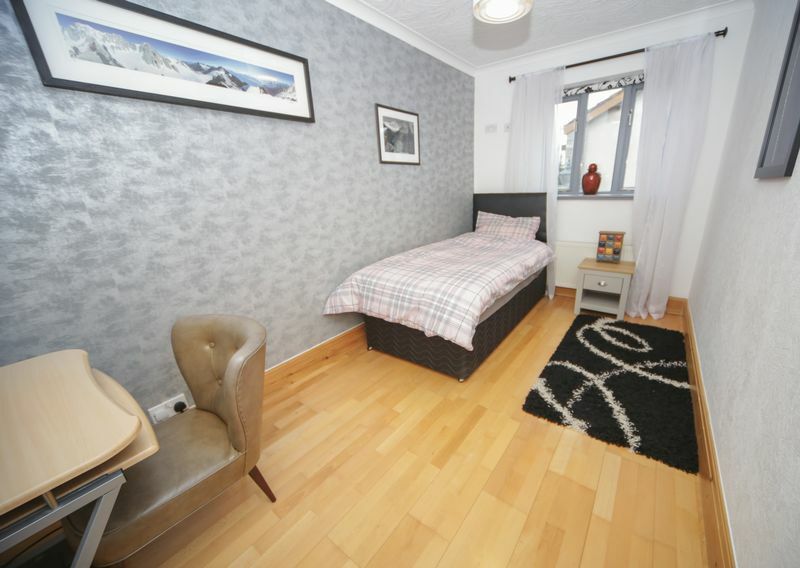 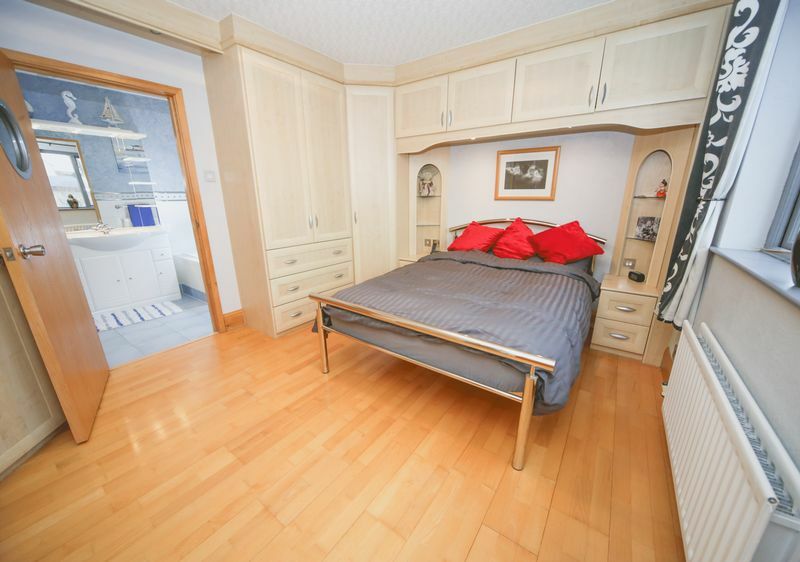 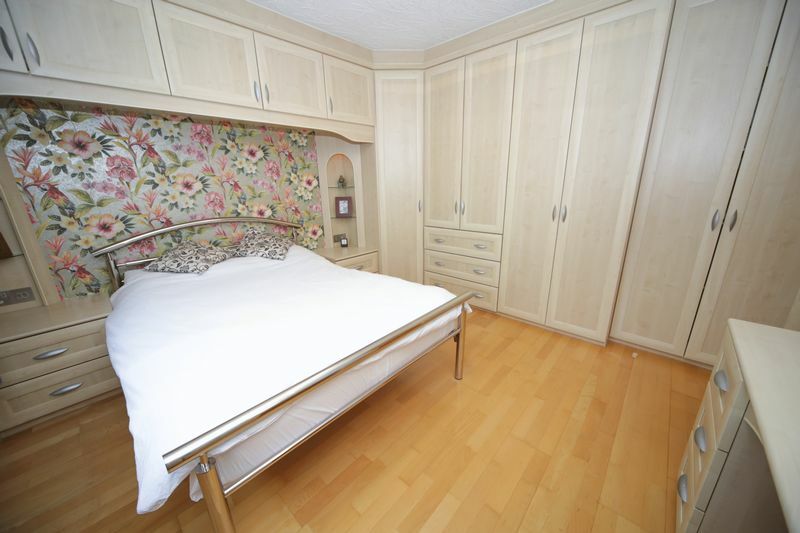 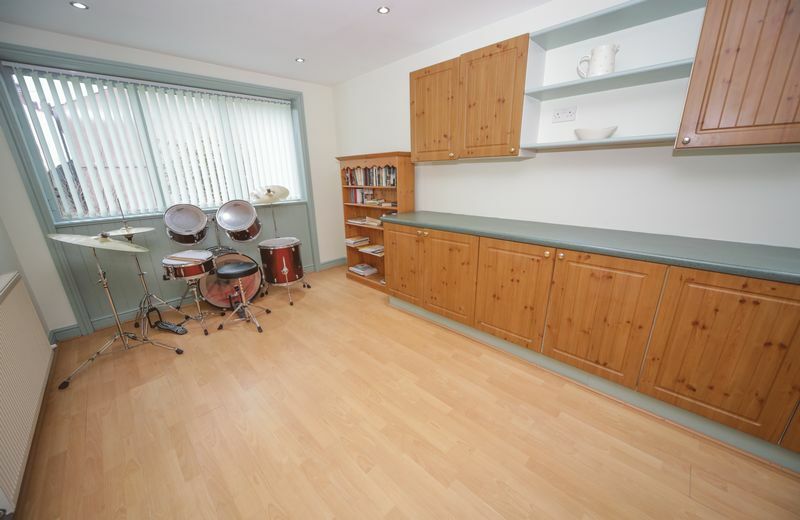 Double glazed window, central heated radiator, fitted wardrobes, feature plinth, feature flooring, coordinated decoration. 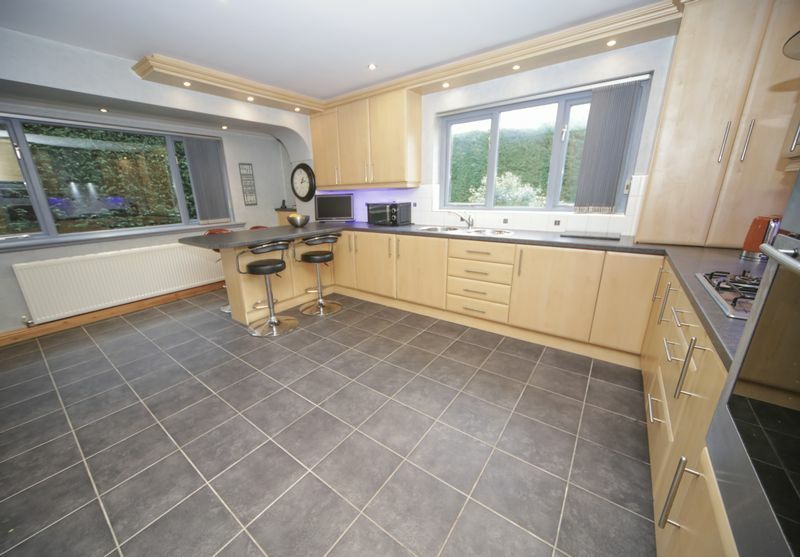 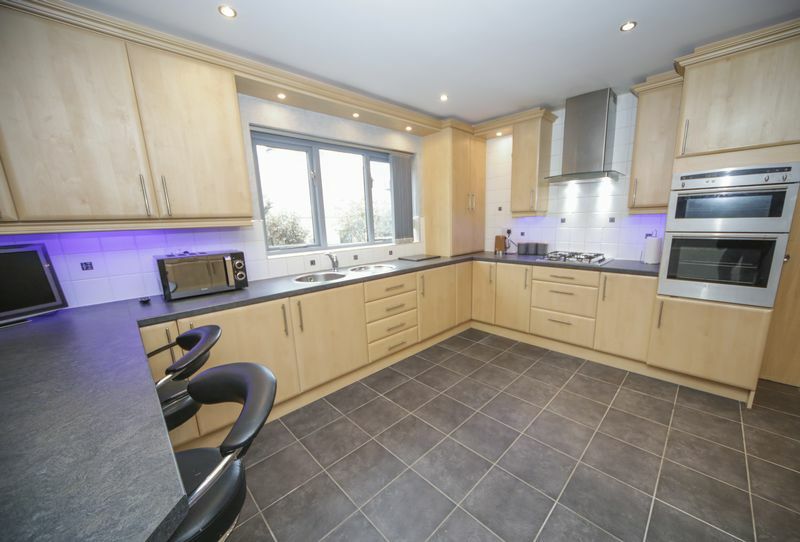 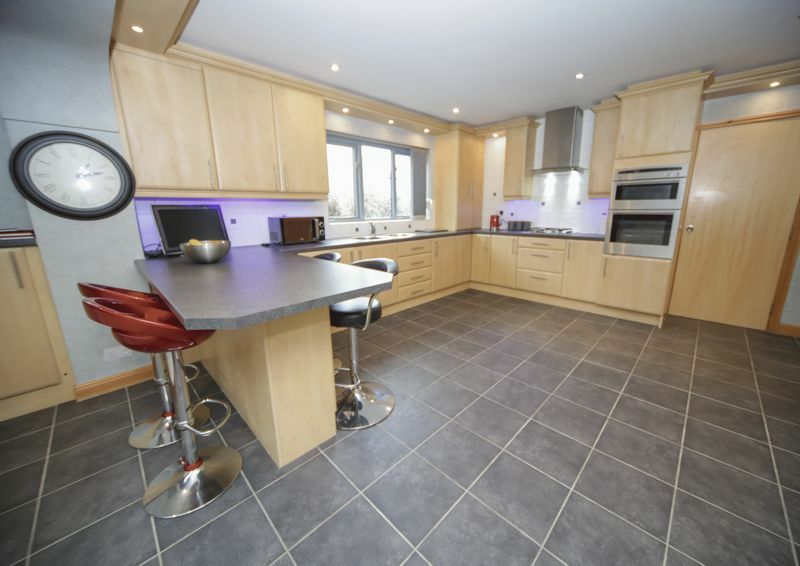 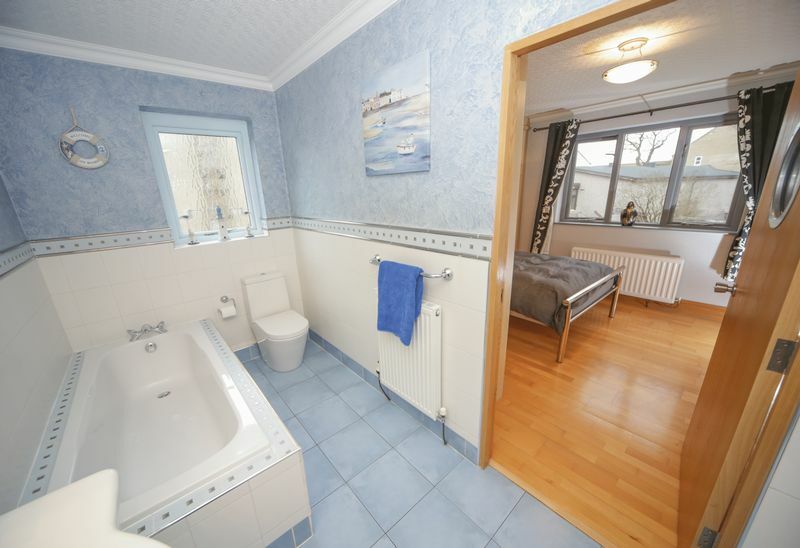 Double glazed window, central heated radiator, coordinated decoration, coving to ceiling, central heated radiator. 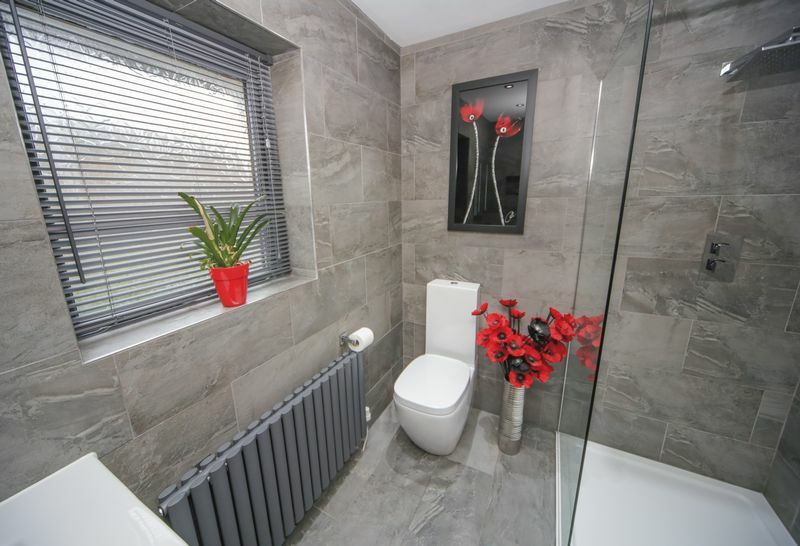 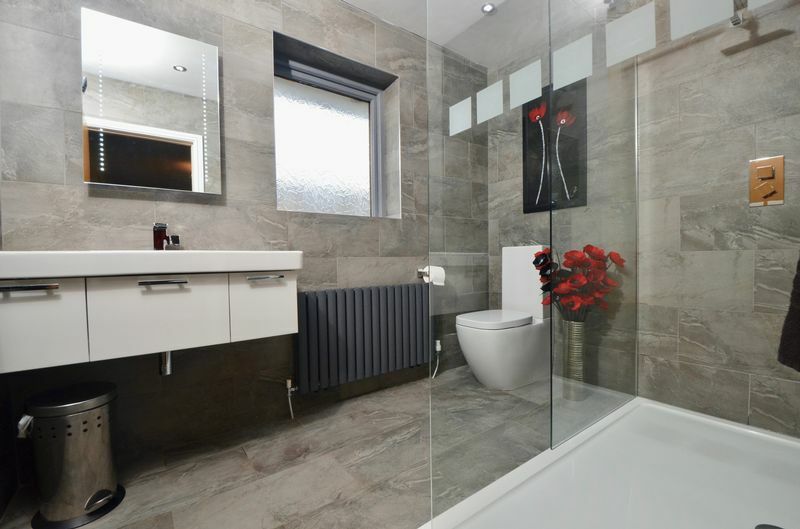 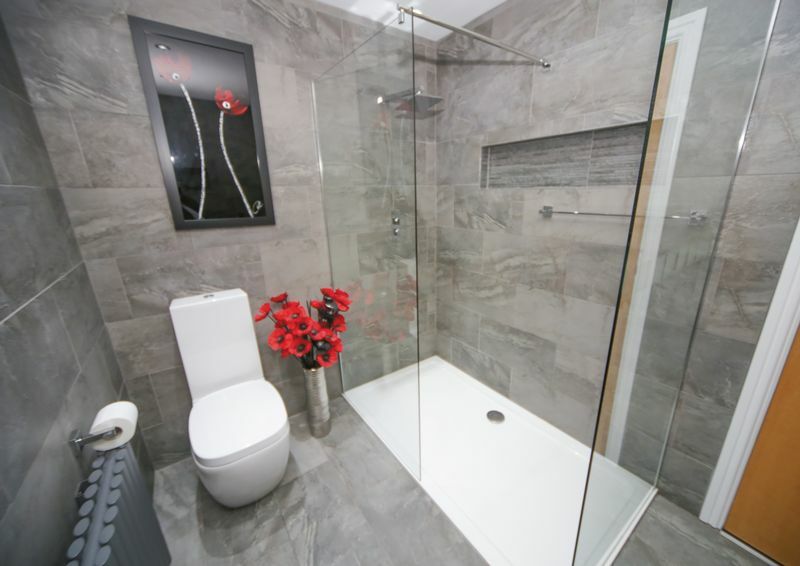 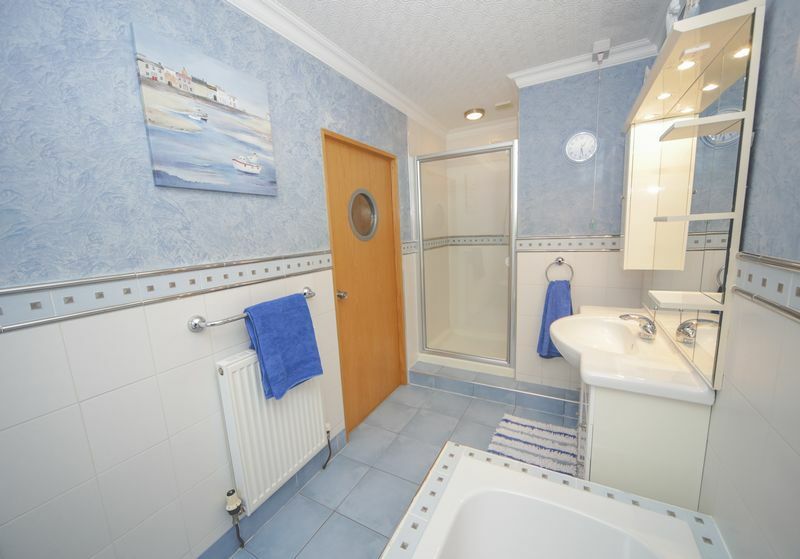 3 piece suite comprising vanity wash hand basin, low level wc, walk-in shower cubicle with direct floating head fixed shower unit, tiled elevations, double glazed window, extractor fan, feature radiator, vanity light mirror. 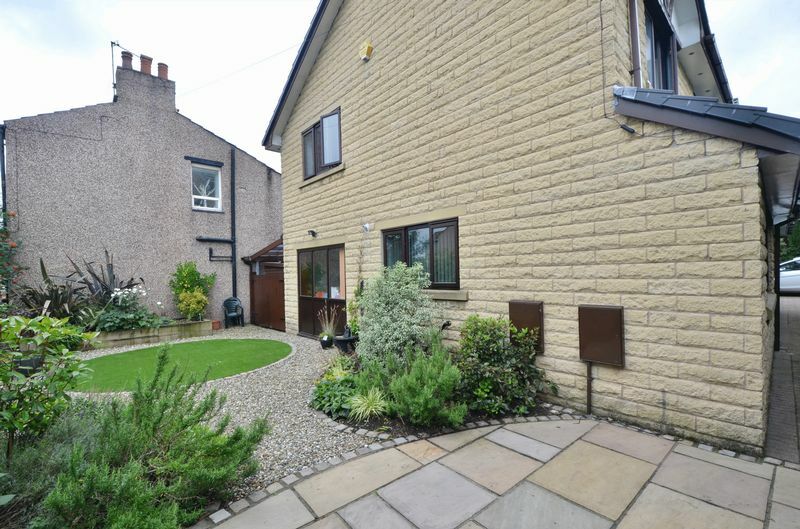 To the rear is a brick block driveway with gated entrance, brick block parameter pathways, main garden area has been hard landscaped for easy maintenance, raised flower beds, flagged Indian stone patio, raised garden decking, side entrance gate giving access to Nab Lane, external water supply.